Keep an eye out guys and girls, a Windows Phone 8 avatar prop has appeared on the UK dashboard. Watch through a brief video and select a colour tile to obtain the prop. Insomnia 49 event: UK’s first Minecraft Expo. Multiplay, organiser of the UK’s largest gaming festivals, has today confirmed details of the latest addition to the Insomnia 49 event: the UK’s first Minecraft Expo. Insomnia 49 will take place between 23rd and 26th August 2013 at the Telford International Centre, Telford. The Minecraft Expo will form a significant part of the highly anticipated summer gaming festival, offering visitors free-to-play tournaments, Minecraft talks and presentations, and an exhibition featuring examples from the best and brightest of the community, as well as the chance to purchase official Minecraft merchandise from J!nx. The fun doesn’t stop there, with costume competitions, creative build challenges and the Minecraft Lounge, where you can grab an autograph from the stars. After hearing that Microsoft discontinued the Gold Family Pack with no initial statement. 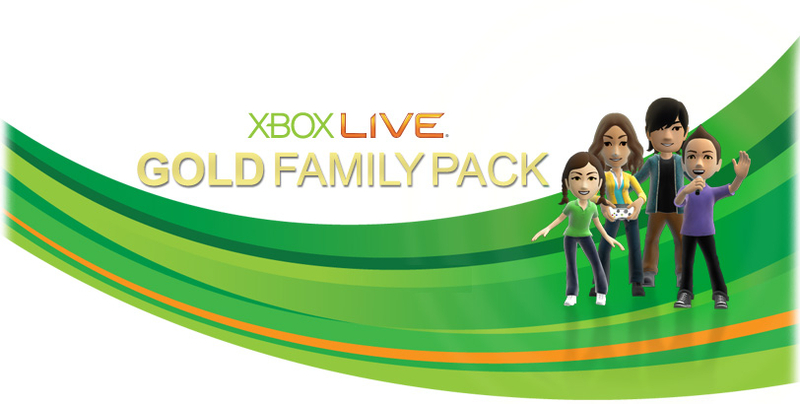 family’s and gamers’ with multiple accounts everywhere were shocked at the decision that took away the huge savings for multiple Xbox LIVE Gold enabled accounts with the ability to control and share MSP between them and the reports on child accounts to make sure the kids were playing safe. Defiance continues to gain momentum as gaming and TV audiences join forces. May 2, 2013 – Trion Worlds announced today that more than one million Defiance accounts have been created since the launch of the open world shooter one month ago today. Fans of both the game and show have truly immersed themselves into the futuristic world of Defiance, with gamers eclipsing major milestones in-game, while digital TV viewers have tuned in at record numbers for the first two episodes. For the first time since its launch back in 2009, we’re excited to announce that the multi-record breaking phenomenon, Minecraft, will soon be available to buy in-store on disc across the UK, exclusively for Xbox 360! From 28th June fans can experience the joy of Minecraft: Xbox 360 Edition straight from disc and get a taste of Xbox Live Gold using an included free 48-hour subscription! Once connected to Xbox Live everyone can get the very latest Minecraft: Xbox 360 Edition content from the ever-changing pixelated world, as well as experience the many other things Live has to offer such as taking favourite games online with friends or watching the latest TV and movies. This disc version will provide the magic and experience already loved by millions worldwide and give newcomers the thrill to explore, build, and conquer alone, or play with friends via split-screen mode or over Xbox Live*. Including a wealth of new features designed specifically for Xbox 360, Minecraft: Xbox 360 Edition is a whole new way to make imagination a blocktastic reality. Defiance™, the groundbreaking futuristic online open world shooter from Trion Worlds has announced its first contest merging the two worlds of Defiance. Nolan and Irisa crossed from the game to the show, and now players have the chance to follow in their footsteps! To win, fans must outgun the competition in game from April 30 – May 10 to see themselves on an upcoming episode of Defiance on the Syfy channel. ATLUS, PQube and Zen United announced that Persona®4 Arena™ – the hugely-anticipated sequel to the award-winning Persona 4 role playing game – will be making its way to Europe on the Xbox 360® video game and entertainment system from Microsoft and Sony PlayStation®3 on 10th of May 2013.